Two features make the Koch system different from other systems: The natural fiber wheels and the thermo-reactive sharpening compound. In the past, only the green fine-grit compound was available. I use this green compound for everything from removing a nicked edge to reshaping an entire bevel. Apply the paste to the spinning wheel. The paste heats up as you apply the tool to the wheel. The combination of fiber wheel and compound quickly shapes the tool’s edge. The compound melts into the wheel and cools the tool. The wheel whisks most of the heat away from the tool’s edge, eliminating the risk of bluing the tool or damaging the tool’s temper. While sharpening, you can literally put your hands close to the edge being held to the wheel and feel almost no heat. Plus, this sharpening process produces no burr or wire edge to be removed. The wheel, used in conjunction with the green compound, puts a nice polish on the cutting edge, producing a tool ready for carving. The new blue extra-fine grit compound takes the sharpening process a step further. 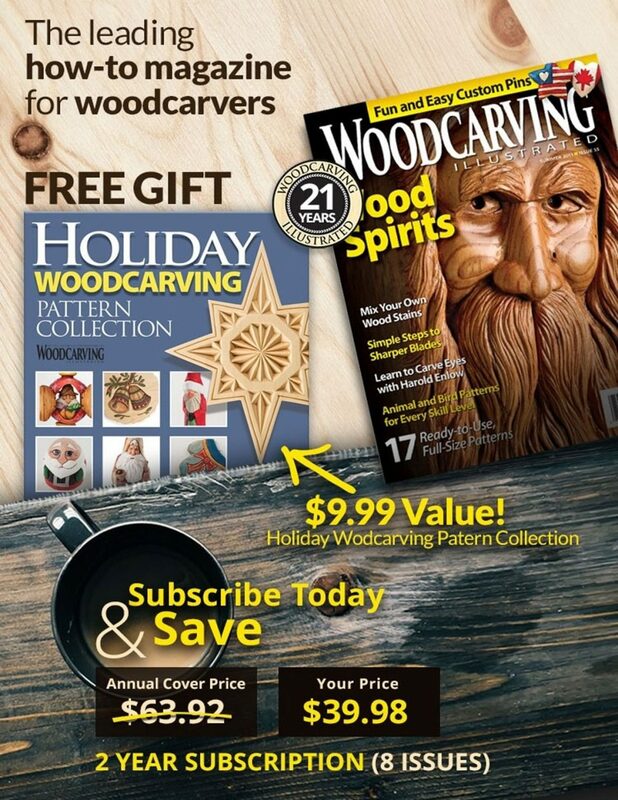 When hand carving, most people find that a highly polished edge slices through the wood easier. Carvers typically use strops or buffing wheels to finish polishing the tool’s edges. The extra-fine grit compound replaces these tools and produces a mirror finish on the edges. A tool sharpened with a combination of the green and blue compounds literally sings as it cuts through the wood. 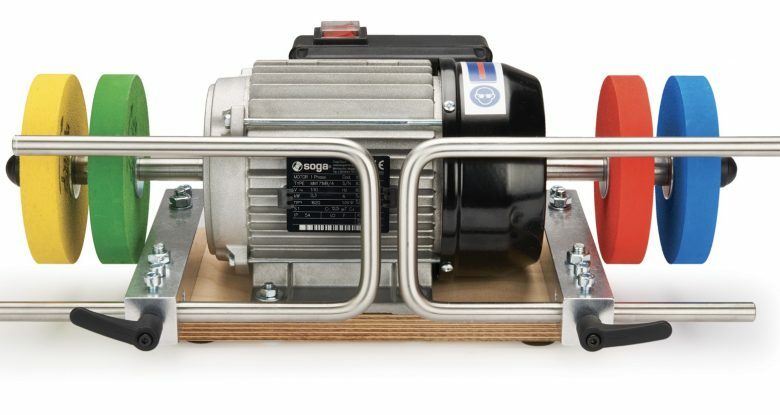 The full Koch Sharpening System includes four fiber wheels. These 4″-diameter natural fiber wheels fit any grinder with a ½”-diameter shaft. Use the red and yellow wheels for curved carving tools and use the blue and green wheels for straight chisels, plane irons, and knives. Apply the green compound to the blue and red wheels and the blue compound to the yellow and green wheels. The 1/3 horsepower grinder provides enough speed and power to sharpen tools of any size. The simple adjustable sharpening guides can be used for nearly any gouge, chisel, or plane iron. The complete Koch Sharpening System is available for $499.99 from Woodcraft. This kit includes both pastes, four wheels, and the grinder. All four wheels and both pastes are also available individually. 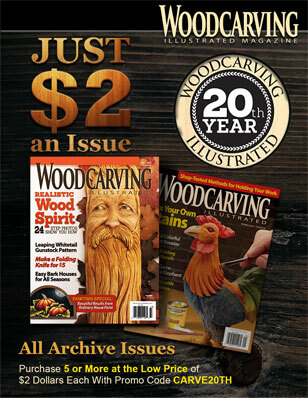 Contact Woodcraft at 800-225-1153, www.woodcraft.com.